If I'm heading to Brooklyn, then I expect my time spent to be nothing short of magical. My mission when I while in Brooklyn is to create unforgettable memories and to eat food that makes me question living in Harlem. Mangoseed was introduced to me back in 2014 by my good friend Desi, and she never steers me wrong when it comes to anything BK related! This Caribbean restaurant is considered a staple on Flatbush and one of the reasons I included them in my previous post Top 10: Brunch in Brooklyn. I recently went to Mangoseed for a girls night out and everything was on point. Pasta with jerk chicken- This is my first love at Mangoseed and includes fresh veggies and alfredo sauce. If you do not like spicy then you can have regular grilled chicken or salmon is an option as well. 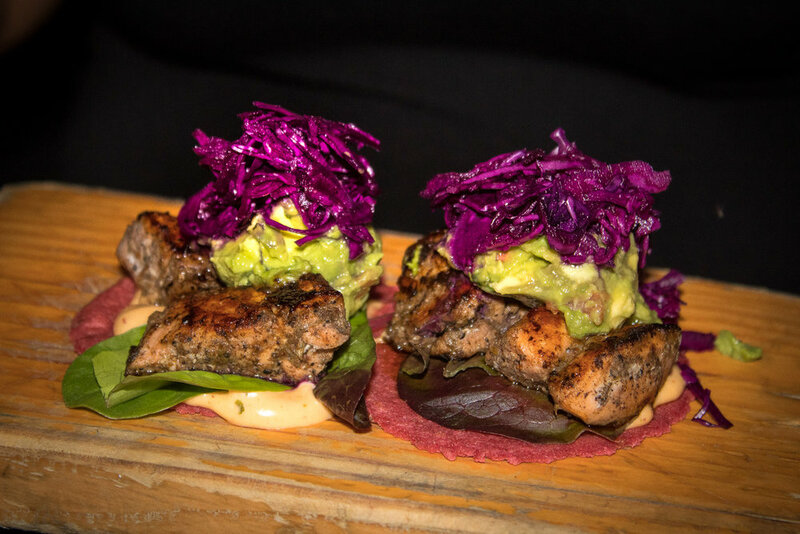 Jerk fish tacos - Jerk fish that sits on top of a beet tortilla, and topped with guac, pickled red cabbage, and chipotle aioli. 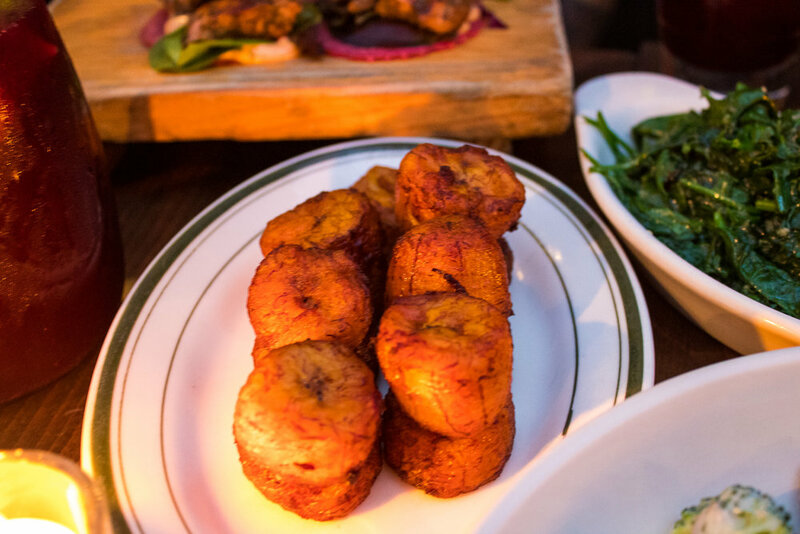 Sauteed spinach and sweet plantain - These both make for great shareable sides. Mangoseed also has a great happy hour that runs Tuesday - Thursday from 4 - 7 pm and 10 pm until close, Friday 4 - 7 pm, and Saturday from 2 - 5 pm. Their happy hour includes $5 margaritas that comes in flavors such as mango, guava, hibiscus, and classic. If margs are not your thing, then you can try their $5 sangria that comes in white mango, sorrel, and the traditional red. This establishment is closed on Monday, so don't play yourself and show up on Monday. Trust me, I have been there before and it is devastating. This is a excellent place for groups or if you are interested in a little al fresco dining situation.